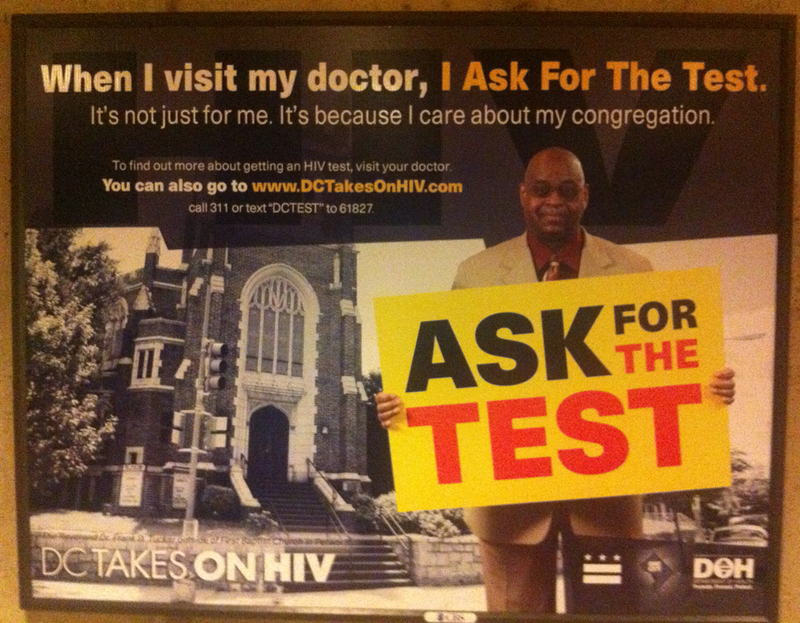 When I visit my doctor, I Ask For The Test. It’s not just for me. It’s because I care about my congregation. Good cause, but I can’t think that the message is a bit of bad timing in the wake of the Bishop Long scandal. Seeing an older man talking about “my congregation” puts forth one possible assumption that he leads the congregation, in which case… is he sleeping with all of them? I haven’t seen other ads, so I don’t know what their focus is, but this one doesn’t seem to strike quite the right chord or at least the message is a bit muddled. 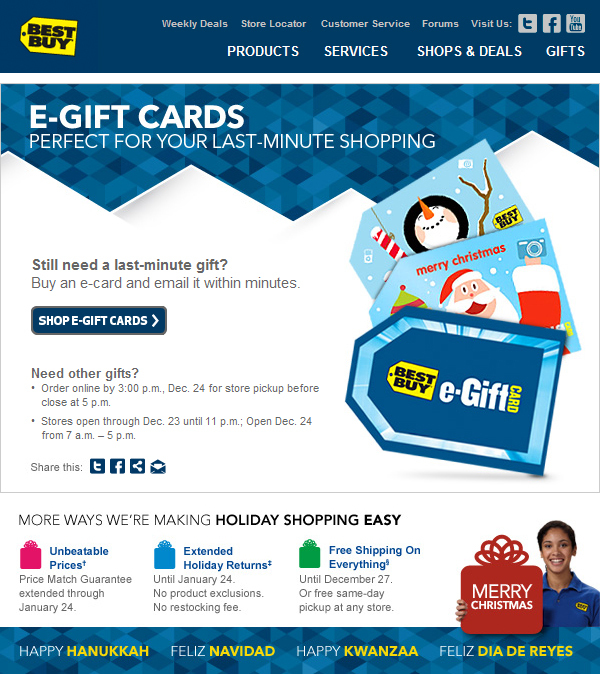 Another bit of bad timing comes in the form of an e-mail this morning from Best Buy advertising their e-Gift Card as a “last-minute shopping” solution. Seeing how this comes the day after the story broke that they may not be able to fill all of their online orders by Christmas, the timing might be bad, but the irony is delicious. “Didn’t get that gift you needed because we couldn’t send it to you? Spend more money with us to buy the recipient a gift card!” Perhaps they’ll suggest that you keep the originally purchased item for yourself. I foresee a lot of returns after 12/25 when people finally get what they ordered and have no more need for it as a gift. And the news broke a day after they had a great PR coup with President Obama stopping at Best Buy for some Christmas shopping. I very rarely shop at Best Buy unless I need something that day–that isn’t an a/v cable–so nothing I ordered is delayed, but you wonder if this will have any affect on their consumer confidence in the future. Why bother racing to the computer on Black Friday, Cyber Monday, or any other sale day when you aren’t sure if you’ll ever get what you ordered? Most likely it will mean that the all-niter shopping lines will be even longer with people wanting to make sure they get their hands on it. Still, it’s the thought that counts… right? TGIF, Happy Christmas Eve Eve and I hope that everyone has a fun and safe holiday. Previous story music: Happy Pandora Holidays!